(Q.1) Which of the following was NOT found at Mohenjo-Daro? Granaries constituted an important part of Harappan cities. 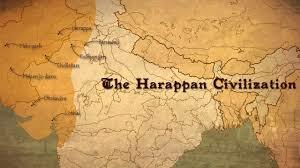 Which of the above statement(s) is/are correct about Harappan civilization town planning? (Q.5) Harappa was the first “Indus Valley Civilisation” site to be excavated. Who among the following was associated with its excavation? (Q.6) Which of the following, has replaced Mohenjo-Daro as the largest Harappancivilisation site? (Q.7) TheHarappancivilisation belongs to which age? (Q.9) Which of the following pair of Harappan sites with their Location is INCORRECT? Which of the above statement(s) about Harappancivilisation is/are correct? (Q.11) Which of the following religious beliefs of Harappan people is incorrect? They probably believed in magical rituals, charms, demons & spirits. (Q.12) Consider the following statements. (12) Which of the above statement(s) about burial practices and rituals of Harappancivilisation is/are correct? (Q.13) Which of the following statement about Agriculture during Harappan period is INCORRECT? They were the earliest to produce cotton. (Q.15) With which of the following civilisations, Harappans had external trade relations?